Principal Eric P. Daigle practices civil litigation in federal and state courts, with an emphasis on municipalities and public officials. His experience includes defending municipal clients in civil rights actions, including police misconduct litigation and employment actions, as well as premises and general tort liability. Attorney Daigle also defends the rights of officers charged with criminal acts, and has brought civil actions against those who have violated the legal rights of officers. Attorney Daigle acts as a legal advisor to police departments across the Country. He provides legal advice to law enforcement command staff and officers in the areas of legal liability, internal affairs, discipline, policy drafting, employment issues, use of force, laws of arrest, and search and seizure. His experience focuses on officers’ use of force, specifically in the training, investigation, and supervision of force, as well as deadly force incidents involving law enforcement. Attorney Daigle acts in his capacity as a Law Enforcement Consultant providing guidance and oversight to department command staff on operations, organizational structure and risk management. Many departments have retained Attorney Daigle to assist with the review, development, and revision of department policies to maintain and reflect current police practices. Attorney Daigle serves as a member of independent monitoring teams and acts as an auditor in reviewing police department organizational compliance with procedural revisions directed or overseen by the Federal court system. From 1992 to 2002, Attorney Daigle worked for the Connecticut State Police, during which time he spent many years as a detective assigned to investigative units. His experience included leading investigations; processing crime scenes for the collection of forensic evidence; and preparing cases for prosecution. Attorney Daigle is currently assigned as a reserve officer and maintains his Connecticut Police certification. As a Connecticut P.O.S.T. certified law enforcement instructor in the area of legal training, Attorney Daigle provides legal training to law enforcement officers throughout the state for recruit and in-service training. This training includes search and seizure, laws of arrest, use of force legal updates, civil liability, search warrant drafting, racial profiling, TASER liability, and courtroom testimony and demeanor. Attorney Daigle has hosted and participated in seminars focusing on use of force legal standards, including Tactical Operations, TASER usage and responses to deadly force incidents by police. Attorney Daigle is General Counsel for FBI- Law Enforcement Executive Development Association and a member of its instructor cadre teaching Internal Affairs. He is well versed in best practice standards for use of force and internal affairs. He is a member of the Americans for Effective Law Enforcement (AELE) Board of Directors, an instructor in the use of force seminar, and holds its Certified Litigation Specialist (CLS) credential. Attorney Daigle is the Vice Chairman of the International Association of Chiefs of Police Legal Officers Section and a member of the National Association for Civilian Oversight of Law Enforcement (NACOLE). He holds the Certified Practitioner of Oversight from NACOLE. 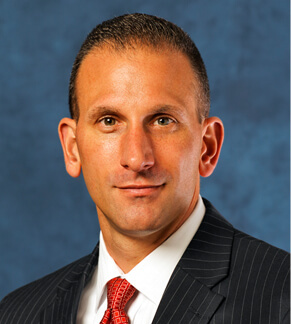 Attorney Daigle is a member of the Connecticut Chiefs of Police Association and on the Board of Directors. He is a member of the Connecticut Bar Association and is also a Past President of the New Britain Bar Association.